Calling all haunts! Killing Floor 2’s newest update amps up the creepiness. The Halloween Horrors: Monster Masquerade update brings with it a new map, weapons, and a crossover with Road Redemption. 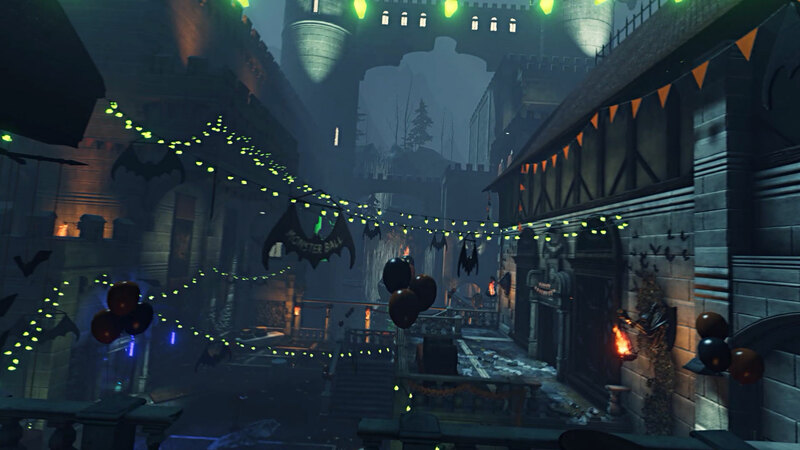 Touted as the “largest update” to Tripwire Interactive’s co-op shooter, it brings a whole lot of tricks, and maybe even some treats. While the Road Redemption crossover is currently only available to PC players, it will be available on consoles once the racing game releases on the PlayStation 4 and Xbox One. Those with Road Redemption in their Steam library will get access to an exclusive weapon, the Road Redeemer. This baseball bat covered in barbed wire is sure to pack a punch when used by the Berserker class. The same offer may apply to console owners, once the crossover is available. Killing Floor 2 is available now on the PS4, Xbox One, and PC.